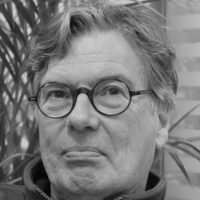 Pierre Jonchkeer is a Co-President of the Green European Foundation. He was member of the European Parliament from 1999 – 2009 and is a Professor of European affairs at the University of Louvain (UCL). Pierre is an Honorary Senator of Belgium. A propos de l’essai d’Edouard Gaudot et de Benjamin Joyeux, Compte-rendu de lecture. “L’Europe, C’est Nous” (Europe is Us), by Edouard Gaudot and Benjamin Joyeux, invites us to consider the “real Europe” – a daily reality made up of exchanges, networks, mobility and cultural dialogue – in the face of huge challenges. The worrying results of the May elections mean we must look beyond the present and, above all, not despair. A review by Pierre Jonckheer. The Eurozone crisis is driving further integration and exposing weaknesses in the Union’s structure. However, the need for reform shouldn’t be used as a cloak to introduce further neoliberal measures. GEF Co-President Pierre Jonckheer responds to European Commission President Barroso’s ‘State of the Union’ speech in 2012.